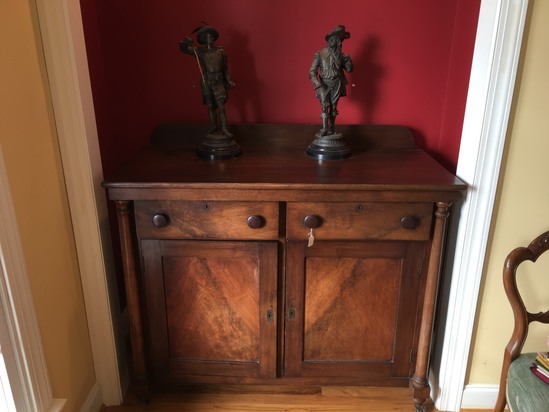 This auction includes Vintage Mahogany Secretary, Hand Made Vintage Wooden Cupboard, Pair Metal Renisance Figurines, Crystal Glassware, Vintage Books, Kitchenware, Golfing Artwork AND MORE! Checkout Date & Times: Please be on time for this auction pickup at 839 Ship Wreck Place, Inman, SC, 29349 on Monday, February 18, 2019 from 11am - 2pm Bring packing material. WHAM will provide movers during the pick-up time only. Ruby Glass Lot - 2 Bowls 5", Bread/Butter Plater 6" sq. ,2 Plates 8 1/2", Oval Bowl 9 1/2"